When your oncology drug is finally ready to move into clinical trials, it feels like you’ve made it to the Super Bowl. These are the big leagues; this is what you’ve been preparing for. So why is it that, despite the billions spent on getting a drug to this milestone, we’re still using biomarkers for patient selection that feel like a Hail Mary play? Current approaches have predictive power that is either highly variable, or so low that you might as well be flipping a coin. Take PD-L1 IHC, for example (a top draft pick that many recent publications suggest will get benched). It’s one analyte, one small piece of the biology, one shot to pick the right patients who will respond and show the true power of your therapeutic. Not surprisingly, betting on one player to catch that pass — rather than surveying the entire field and being more strategic — often does not work. (I’ll stop with the football analogies now, but I think you get my point.) Generating comprehensive data and then choosing to look at each analyte in isolation is not delivering on the promise of Big Data — far from it. We can do better. In this era of large datasets, we must capture all the signals available to us. We must champion the development of multidimensional biomarkers with predictive power on par with the robust immune responses that we’re seeing from the most innovative immunotherapies. We need to look beyond single-analytes, and evaluate disease in the way we know it presents: with many, subtle biological changes resulting in compounded effects and phenotypes. 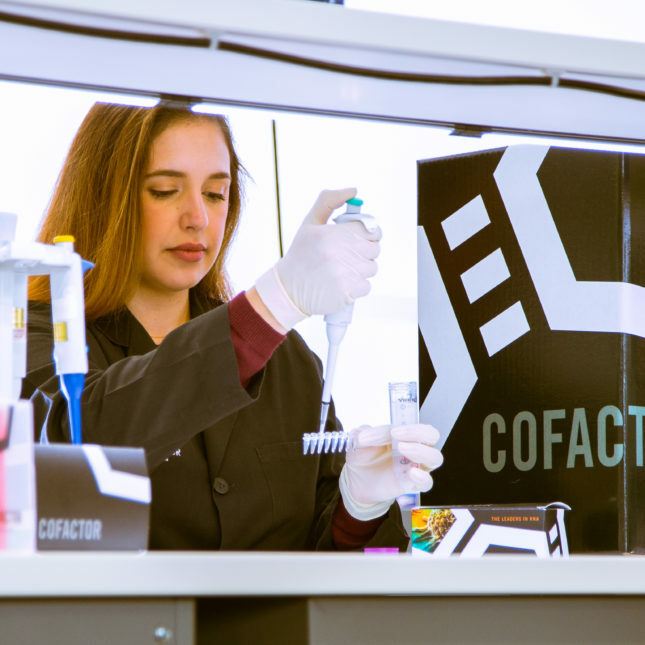 We, at Cofactor Genomics, believe these approaches are a step in the right direction. However, a concerted effort must be taken to develop an easily-adoptable, streamlined approach to make multidimensional biomarkers useful in a clinical setting. Looking at the tools we have today, RNA-sequencing has significant promise in this area, particularly when combined with machine-learning algorithms. Using transcriptomic data to model key components of clinically-relevant biology, such as immune cells, we can create Health Expression Models. Health Expression Models better represent the multidimensional, dynamic nature of biology. Early results have demonstrated that these models increase both the sensitivity and specificity of detection over individual or ranked gene lists, which have historically defined these cells. And, when we combine these Health Expression Models with clinical data, we can further leverage machine-learning to build multicomponent biomarkers with predictive power that far outperform the respective individual models. This approach, called Predictive Immune Modeling, is key to better defining patients, disease, and therapy response. Predictive Immune Modeling uses validated molecular tools that can be packaged and ready for implementation in any clinical lab that has next-generation sequencing capabilities. Therefore, Predictive Immune Modeling can be used in a centralized or decentralized laboratory setting, and it can be easily moved into the clinical trial workflow. Once a multidimensional biomarker is identified, the predictive power and statistical significance are reported, which enables one to know whether this biomarker should be implemented in future studies/trials, or whether more data should be added to increase its utility. It’s exciting to think about what Predictive Immune Modeling means for both drug developers and patients. 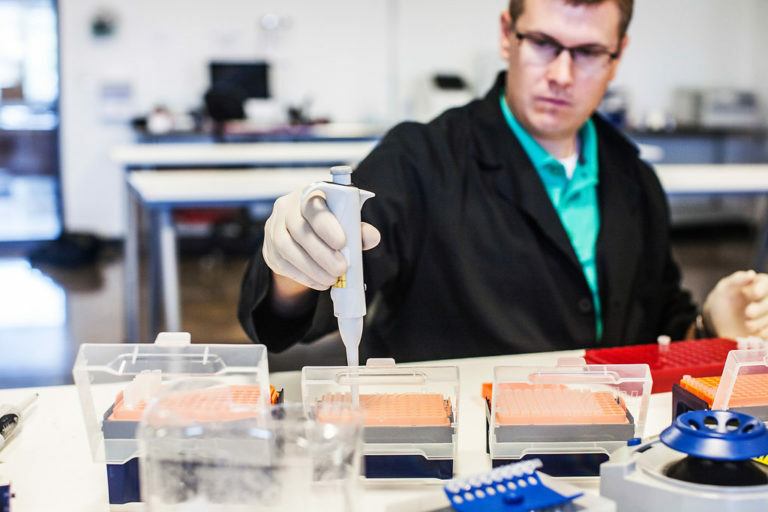 With the multidimensional biomarkers generated using this approach, we are sure to see faster, more cost effective, and more successful clinical trial results. Learn more about Cofactor’s approach to Predictive Immune Modeling here. Jarret Glasscock, PhD is a geneticist and computational biologist, who advocates for the power of RNA and machine-learning in precision medicine. He is the founder and CEO of Cofactor Genomics, the pioneers in the field of Predictive Immune Modeling.